The potential impact of dietary changes on health, the agricultural system and other environmental factors has only been studied to a limited extent. This study examines the large-scale consequences in the European Union of replacing 25–50% of animal-derived foods with plant-based foods on a dietary energy basis, assuming corresponding changes in production. It provides valuable insights to SDG target 2.3 to ensure sustainable food production systems by 2030, as well as SDG target 13.1 strengthening resilience and adapt to climate-related hazards. Vaccine “hesitancy” is an emerging term in the literature and discourse on vaccine decision-making and determinants of vaccine acceptance. Determinants of vaccine hesitancy are complex and context-specific – varying across time, place and vaccines. By eliminating vaccine hesitancy SDG 3 will be met as it seeks to ensure health and well-being for all, at every stage of life. A new Global Investment Framework for Women's and Children's Health demonstrates how investment in women's and children's health will secure high health, social, and economic returns. We costed health systems strengthening and six investment packages for: maternal and newborn health, child health, immunisation, family planning, HIV/AIDS, and malaria. 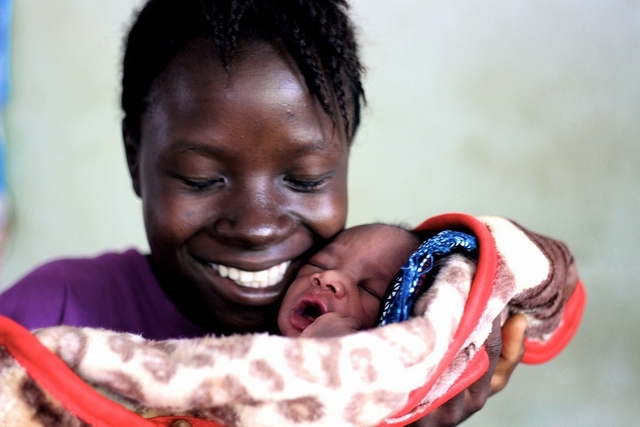 This article directly links to the SDG targets 3.1 and 3.2 to reduce the global maternal mortality ratio to less than 70 per 100,000 live births, and end preventable deaths of newborns and children under 5 years of age. Diabetes is a serious and increasing global health burden and estimates of prevalence are essential for appropriate allocation of resources and monitoring of trends. The SDG 3.4 target for 2030 is to reduce by one third premature mortality from non-communicable diseases through prevention and treatment and promote mental health and well-being. This paper concludes that low and middle income countries will experience the greatest increase of diabetes over the next 22 years, highlighting inequalities in healthcare and nutritition. The Lancet–University of Oslo Commission on Global Governance for Health examines health inequity and the conflict between the health sector with other powerful actors, such as protection of national security, safeguarding or sovereignty. This paper contributes to goal 3 and 5. Presenting the case for investment in health, this article advances Goal 3. It sets out an investment framework to help low and middle income countries achieve dramatic health gains by 2035. Diabetic retinopathy (DR) is the most common microvascular complication of diabetes and the leading cause of new cases of vision loss and blindness among working-aged adults in the United States and most developed countries. This study explores treatment for those suffering loss of vision contributing to Goal 3. The 2011 RAD-AID Conference on International Radiology for Developing Countries discussed data, experiences, and models pertaining to radiology in the developing world, where widespread shortages of imaging services significantly reduce health care quality and increase health care disparities. Combining multidisciplinary strategies to improve the planning, accessibility, and quality of imaging services in the developing world can contribute to advancing SDG 3 to minimise health care disparities and provide health and well-being for all.